Gene therapy for a changing climate – One Billion Hungry: Can We Feed the World? The rains are too short. Or are they too long? The temperature seems to be hotter. Maybe the air is getting drier here and wetter there? For certain, the weather is becoming less and less predictable under climate change and African smallholder farmers are amongst the most vulnerable. Already, temperatures in Africa are predicted to rise faster than the global average causing significant losses to yields, herds, calories and nutrients. Without a better understanding of the climate and how it is anticipated to change, smallholders risk losing their entire crop. Without crop failure, simply poor harvests alone are enough to cause farmers and their families to suffer. Smallholders won’t have enough to eat, but they won’t have enough to sell either. Lower incomes will drive families further into poverty, worsen undernutrition and prompt coping strategies that lower resilience to shocks and stresses over time. Supporting smallholder farmers to better adapt to climate change and build their resilience to a variety of risks – weather-related or not – can be done in a variety of ways. For example, better access to finance can enable farmers to invest more in their farms; better training can teach them how to sustainably maximise their production; and improved land management practices can improve soil fertility and nutrient management. Whilst all of these elements are crucial for supporting smallholders, they may not be sufficient to address the scale of the challenge. 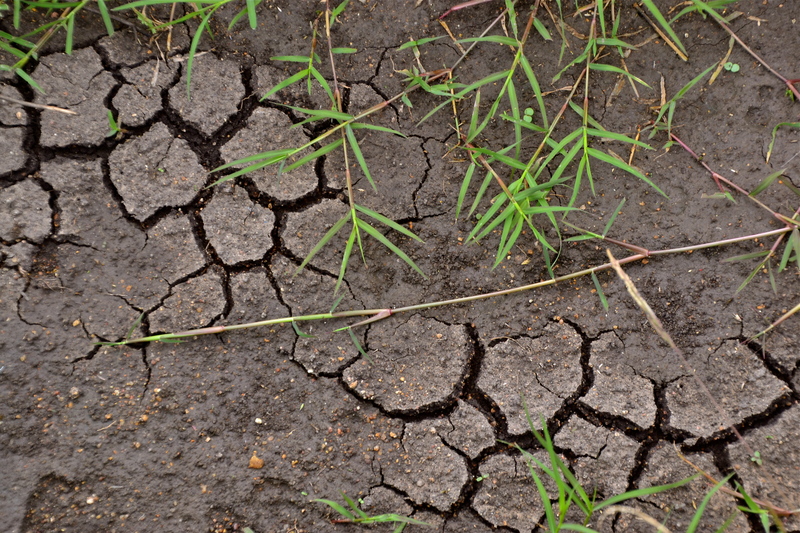 Genetic improvements to seed and livestock varieties that can tolerate extremes such as droughts, floods, and vegetation loss, however, may give them the right advantage. Genetic Intensification is one of the pillars of Sustainable Intensification – the integration of innovations and practices from the fields of ecology, genetics and socio-economics to build environmentally sustainable, equitable, productive and resilient ecosystems that improve the well-being of farms, farmers and their families. Genetic Intensification incorporates conventional breeding and the use of biotechnology to cultivate crops and livestock breeds that satisfy a number of needs and overcome a multitude of challenges, such as climate change. 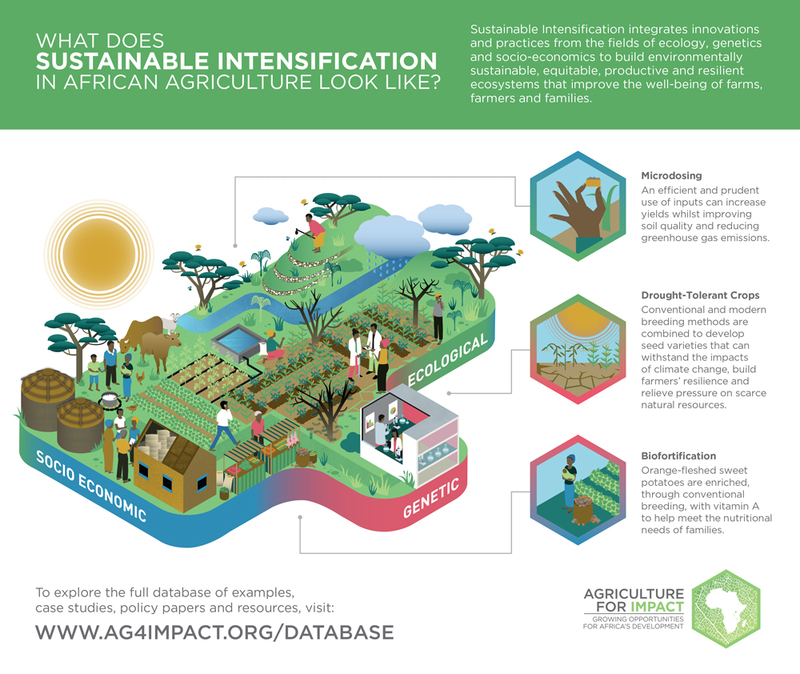 Critical to innovation for Sustainable Intensification is the ability to achieve multiple benefits. Take for example, high-iron beans that have been grown in Rwanda since 2010. The high-iron bean, a collaborative conventional breeding effort between the Government of Rwanda, Harvest Plus and the International Center for Tropical Agriculture (CIAT), is helping to reduce iron deficiencies across the country. In 2012, 38% of Rwandan children under five and 17% of adult women were iron deficient. 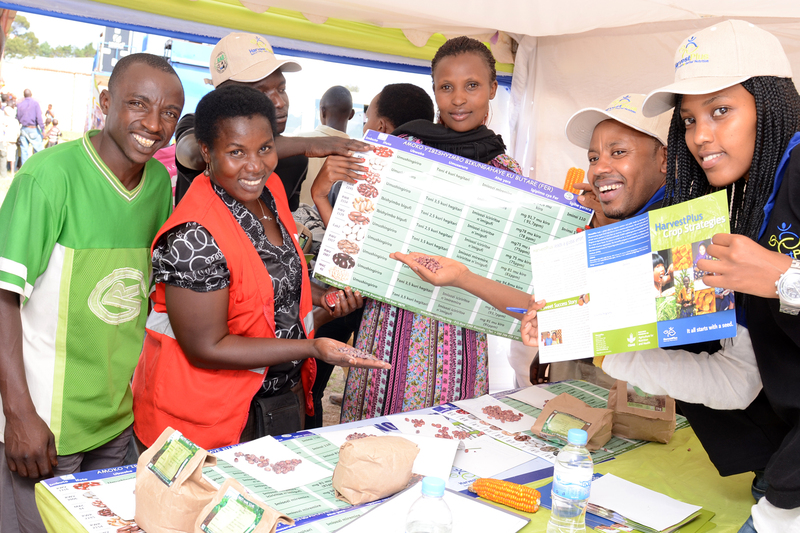 By 2014, more than 270,000 households were growing and eating the biofortified beans, which are not only more nutritious but thankfully higher yielding than local varieties, especially due to their resistance to common viruses and crucially, tolerance to heat. Biotechnology opens up a new world in which breeders can deliberately and speedily design new plant and animal types with much less reliance on random processes. One technology, marker-aided selection (MAS), allows researchers to detect particular DNA sequences at specific locations in an organism and link these to the presence of genes responsible for particular traits. 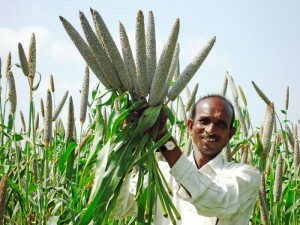 Speeding up the process of conventional breeding, new varieties of pearl millet – a major staple grain for food and animal feed in some of the driest parts of Asia and Africa – are making improvements to millions of livelihoods. Grown primarily by smallholder farmers in marginal areas under rain-fed conditions, new hybrid varieties of the grain have been developed that offer higher yields, greater resistance to downy mildew – a damaging disease – as well as maintaining tolerance to drought conditions. Scuba rice – aptly named for its ability to limit internode elongation to conserve carbohydrates and permit regrowth once flooding has receded – is another example of how MAS can help to genetically intensify crops. Rice in Asia is typically grown in standing water, but deep flooding for more than a couple of days is detrimental. Already, deep flooding affects more than 25% of global rice-producing land, a proportion expected to rise as a result of global warming. New submergence-tolerant varieties are now being produced in Laos, Bangladesh and India, and in Thailand where a submergence-tolerant jasmine rice is being bred. 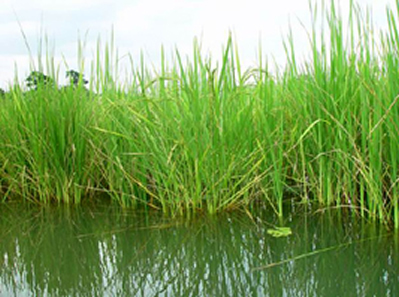 In one farmer’s fields during Indian field trials, 95% to 98% of the scuba rice plants recovered while only 10% to 12% of the traditional varieties survived. Within 1 year of its release, scuba rice was adopted by more than 100,000 Indian farmers and by 2012, 3 million farmers were using the new variety. Recombinant DNA – the most controversial form of biotechnology – involves the introduction of a gene or gene sequence into an organism to achieve a specific result. For example, crop varieties can be designed to express a bacterial gene that controls certain insect pests, reducing the need for harmful synthetic pesticides. Breeding for drought tolerance so far has been very difficult because of the limited understanding of drought physiology and thus what genes allow plants to withstand these conditions. 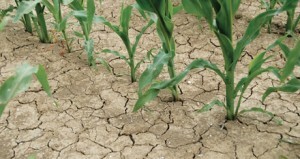 Recently, however, a suite of genes that regulate drought adaptation and tolerance have been identified leading to rapid progress in improving drought tolerance in maize. The Water Efficient Maize for Africa (WEMA) project was started in 2008 as a public private partnership between the AATF, a Nairobi based non-profit, the International Wheat and Maize Improvement Center (CIMMYT), Monsanto and the national agricultural research organizations (NAROs) in participating countries: Kenya, Mozambique, Tanzania, Uganda and South Africa. The project will release the varieties royalty-free to smallholders through African seed companies and their benefits and safety will be assessed by their respective national authorities. These new maize varieties are expected to increase yields around 20% to 35% compared to current varieties under moderate drought conditions. An estimated 2 million tonnes of additional food, benefitting 14 to 21 million people, could be produced. Although many of these technologies remain controversial, they are gaining wider acceptance, and indeed will need to become an important part of the response to reducing food insecurity in Africa, especially as climate change threatens agricultural productivity and livelihoods.